Big Data 2018 — CitizenC. 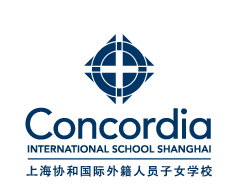 Concordia International School Shanghai hosted The 6th International Big Data and Analytics Edcon & WAGAN 2018 competition. Check out the website for more information and for specific program details. The 6th Big Data and Analytics EdCon has solicited papers and abstract presentations on the development and experience with educational programs in all areas of Analytics, Data Visualisation, Big Data, and Data Science. Educational programs include undergraduate, postgraduate, in-employment or high school, and can focus on education and/or training.